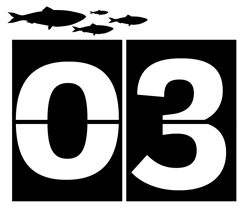 My inspiration today came from the 30 Day Wild app, which features 100 different wild ideas. A rainbow of wildlife sounded like fun, so taking my camera into the garden, I set out to find something in each colour of the rainbow…. which was harder than it sounds! 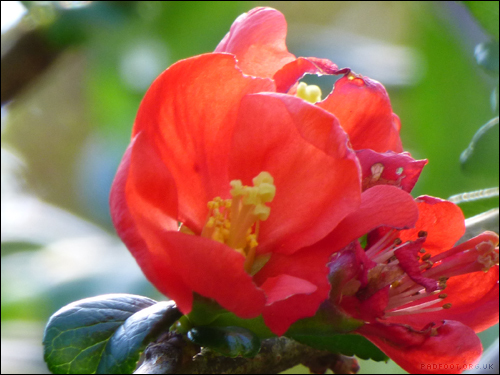 Starting with red, and I was lucky enough to find the final flower of the season on the ornamental Quince. It’s a surprisingly small flower, given the size of the plant, and of course it was tucked away at the back behind the branches. 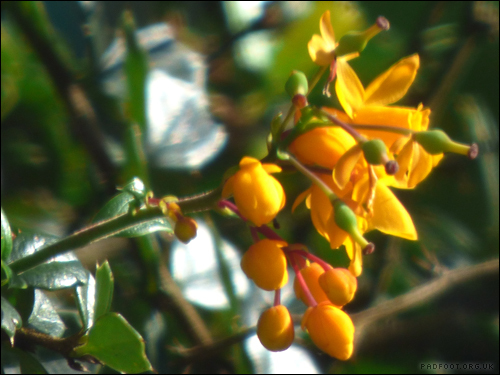 On to orange, and again the final flowers left on the Berberis. These are a favourite with the bees – as the bee wriggles into the flower to get the pollen, there’s a shower of flower petals falling to the ground, making an orange carpet. 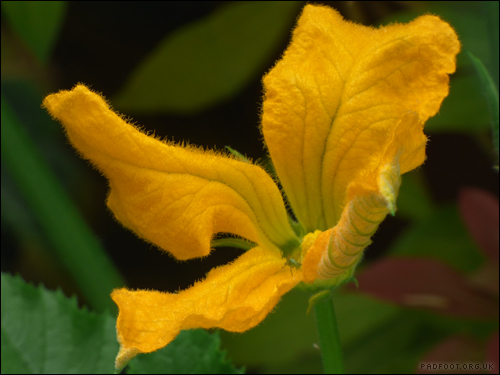 Yellow was pretty easy to find, but it wasn’t until I looked at the photo that I realised how hairy the flower of a Pumpkin plant actually is! I’ve never tried growing pumpkins before, so this is an experiment – so far it seems to like growing in the garden. 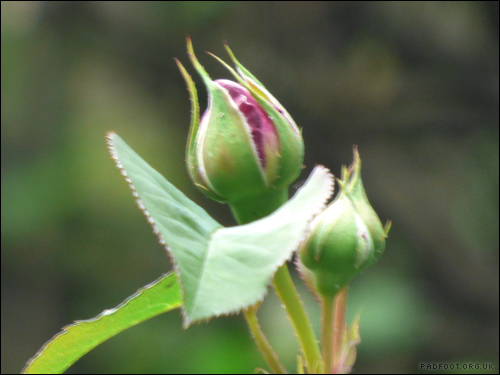 Green is one of the easiest colours, whether it’s leaves or grass, but I wanted to pick something a little more photogenic, so I chose the rose buds that haven’t yet opened. 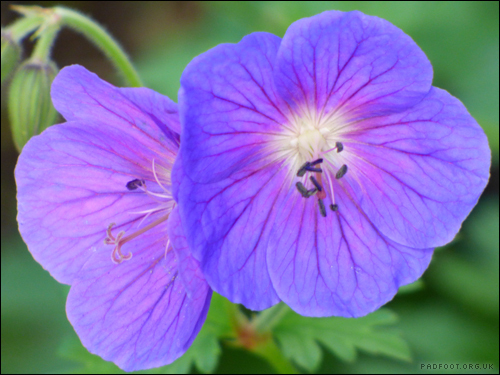 Blue was quite challenging, but this hardy Geranium fitted the bill. It’s quite a small flower compared to the rose it’s growing alongside, but it’s got surprisingly pretty stripes on the petals. Often the smallest flower is one of the most striking. 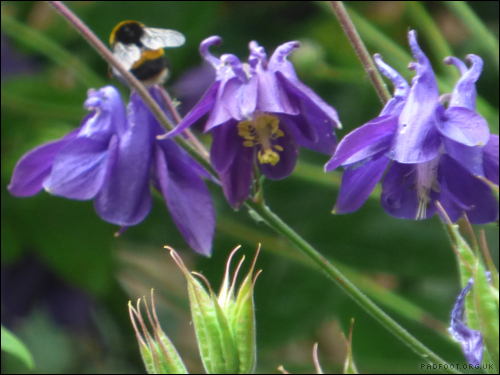 I was following the flight of a bumblebee, heading for the Columbine (Granny’s Bonnet) flowers, which leads me nicely into Indigo. 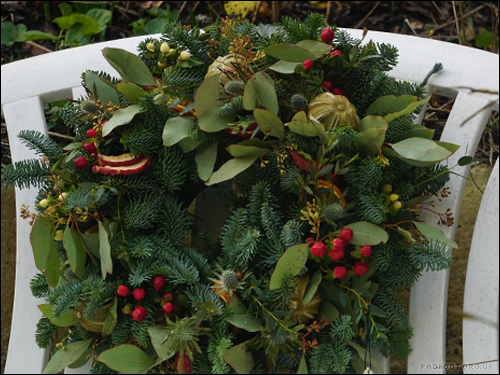 The flowers bend over considerably with the weight of the bee, bouncing back as the bee moves onto the next plant. 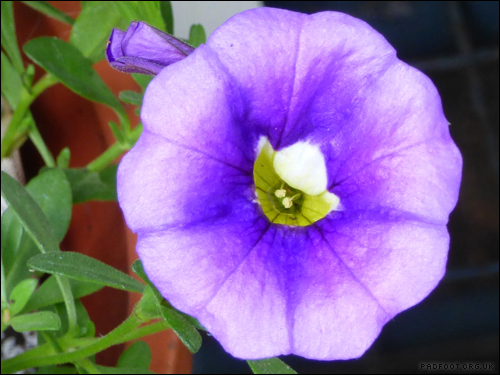 Violet was incredibly hard to find – most of the plants I spotted were more magenta than violet, but this solitary bedding plant flower caught my eye as I was heading back indoors. Officially it’s classed as ‘blue’ but I think it looks more like violet. 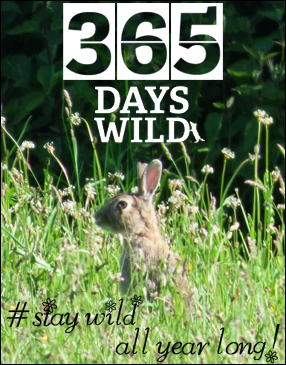 No sign of a ‘real’ rainbow, but it was definitely fun to try spotting a rainbow of wildness today! 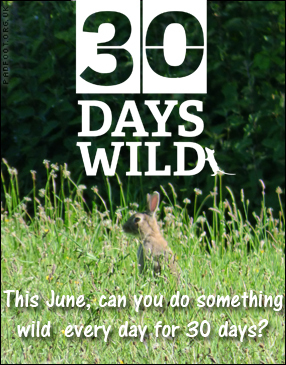 This entry was posted in Dragon Goes Wild and tagged 30 days wild, flowers, rainbow on June 3, 2016 by Dragon.